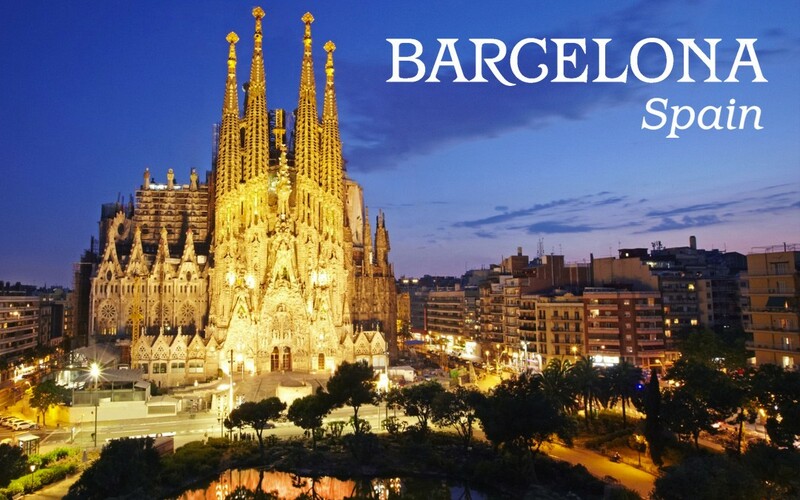 Barcelona has witnessed throughout its history the visit and influence of Iberians, Carthaginians, Romans, Visigoths, Muslims… a grounding that yields a rich legacy, both culturally and historically, which makes one of the favourite destinations in Spain. The city is inconceivable until you get there, unbelievable while you walk its streets and unforgettable after you've gone - if you ever manage to tear yourself away. His enviable position between the mountains and the sea ensures year-round outdoor fun. The city has transformed itself from smug backwater into one of the most dynamic and stylish capitals in the world. Barcelona is always on the biting edge of architecture, food, fashion, style, music and good times. The art, with significant collections by Picasso and Miró, will make you clammy all over. The people, with their exuberance, their duende, their persistent egalitarianism, will fascinate you. The buildings, many the work of the eccentric genius Gaudí, will blow you away. Barcelona has got so many interesting corners and culturally valuable sites that discovering them all is an incredible challenge. Here you can find a selection of unmissable sites enjoy the true essence of the city. Barrio Gótico (Gothic Quarter) and Las Ramblas: Street walking enjoying the flower stalls, mime artists, street plays and hotels is quite an experience. In your stroll you can visit La Boquería fresh food market and El Liceu theater, while your feet take you to the Gothic Quarter, which preserves the charms of medieval Barcelona. Sagrada Familia Cathedral, visible almost from any point in Barcelona centre, is one of the most representative monuments in the city. Unmistakably different from anything else, unfinished, its works started in 1882 under the supervision of Antonio Gaudí. Sagrada Familia is a good starting point to our tour around Modernist Barcelona, whose most identifiable buildings are La Pedrera, Casa Batlló, Palau de la Música or les Punxes. Our visit ends in Güell Park, which extends over an area of 42 ac. full of pure modernist essence. Tibidabo and Montjuic areas offer exceptional views over Barcelona cityline and they are city’s highest points, aside of urban parks beautifully cared after. In Montjuic we can visit some of the best museums of the city, and also Poble Espanyol and Barcelona 1992 facilities. Also in this area will find a great amount of hotels in Barcelona. Aerobús . Bus service rapidly connecting the two terminals with downtown Barcelona (25-35 minutes), end stop Plaça Catalunya. The Aerobús' T1 line serves terminal T1 while the A2 line serves terminal T2. It runs every day from 5:30 am to 1:00 am. Train . Line R-2 Nord (R-2 North), of the Catalan Regional Railway - Rodalies de Catalunya - connects terminal T2 with Sants, Barcelona's central station (19 minutes), Passeig de Gràcia (26 minutes) and Clot-Aragó (30 minutes). It runs every day from 6:00 am to 11:30 pm. Taxi Cab . There is always a large fleet of taxi cabs available at the airport at any time, at either of the two terminals. Taxis charge an additional fee for airport service and for every suitcase transported. At approximately 100 kilometres from Barcelona are the Girona-Costa Brava and Reus airports, out of which certain low-cost airlines run. The city of Barcelona is well-connected with the rest of the Iberian Peninsula and the rest of Europe through road and railway networks. Road: If you're coming by private vehicle, you can find all the information on the state of the roads at the Servei Català de Trànsit (Catalan Transit Service) or the Dirección General de Tráfico (Spanish Traffic Authority). There are also many coach lines regularly connecting Barcelona. Barcelona's main bus station is Barcelona Nord (Estació del Nord). There is a smaller bus station, the Fabra i Puig Station , as well as a few lines running out of the Sants central train station. The city has a comprehensive, highly efficient public transport network. Different means of transport comprise a network that will bring you to any corner of the city, not to mention the neighbouring towns in the greater metropolitan area. There is an integrated fare system allowing you to use the same ticket on all public transport. Metro : The metro has 8 lines and 140 stations covering nearly the entire city. This is the fastest means of public transport. Two new lines are also under construction that will directly connect Barcelona's El Prat Airport. Bus : The bus system has over 100 lines connecting the city's different neighbourhoods as well as Barcelona with the neighbouring municipalities in the greater metropolitan area. At night, the day lines are replaced with night lines, called NitBus . Tram : Barcelona has 6 tram lines connecting Barcelona with other municipalities in the metropolitan area. It is divided in two: the Trambaix, connecting the district of Les Corts with the towns of Sant Feliu de Llobregat, Sant Joan Despí, Sant Just Desvern and Esplugues de Llobregat; and the Trambesòs, connecting the Sant Martí district with the towns of Sant Adrià de Besòs and Badalona. The latter connects UPF's Ciutadella and Poblenou campuses in just 10 minutes. Bicing : Bicing is an urban transport system based on shared use of bicycles. Simple, practical and environmentally friendly, it's a good way to get around the city. There are over 400 stations and 6,000 bicycles, with stations at all UPF campuses. To use this public transport system, you must have a Spanish national identification number (DNI) or foreign national ID number (NIE). FGC (Catalan Commuter Rail): 14 lines, three of which operate as a complement to the Barcelona metro system. The remaining lines connect Barcelona with other cities in the metropolitan area and vicinity. Rodalies (Catalan Regional Railway): 8 inter-city railway lines connecting Barcelona with the metropolitan area and the rest of Catalonia.